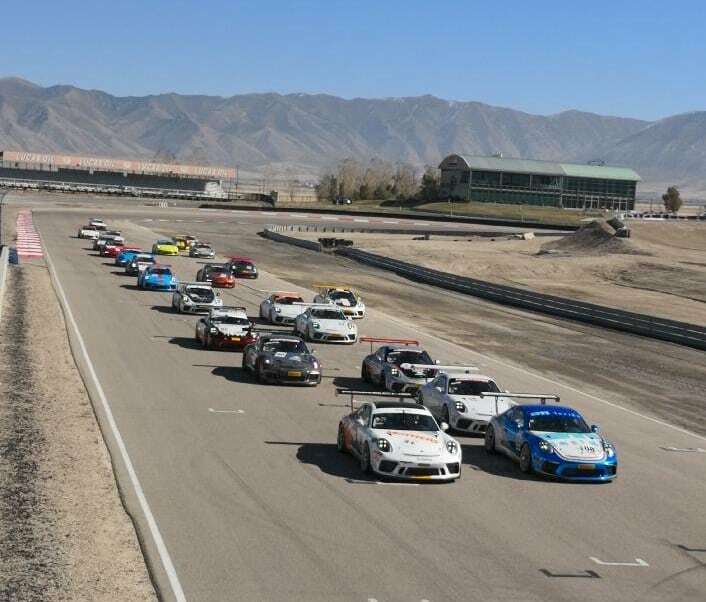 TOOELE, Utah (20 October 2018) – Loren Beggs took the overall victory in Race 13 of the Pirelli Trophy West USA series Saturday at Utah Motorsports Campus to keep his championship hopes alive ahead of Sunday’s season finale race. 28 Porsche GT3 and GT4 Cup Cars in five classes contested the 19-lap, 35-minute event: Diamond and Diamond Masters (2017-2018 991.2 GT3 Cup), Platinum (2015-16 991.1 GT3 Cup), Gold (2010-2013 997.2 GT3 Cup), Silver (2016 Cayman Clubsport GT4 MR) and Bronze (2016 Cayman Clubsport GT4 Trophy). Under clear blue desert skies and temperatures in the near-perfect 60-degree Fahrenheit range, all eyes were on the front of the field and the Diamond Class battle, as TruSpeed Autosport’s Kevin Woods came into the weekend with a 23-point leader over 911 Design’s Loren Beggs. 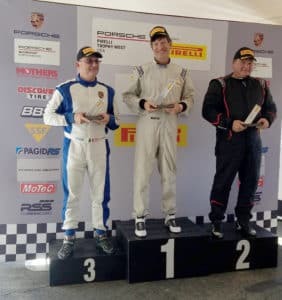 Beggs took every point possible, scoring the pole position, setting the quick race lap and putting distance between himself and Woods at the start, as Competition Motorsports’ Steve Miller slotted into second position ahead of Woods at the start. Woods played the careful game, staying out of the fight for the lead as Miller clawed back late in the race to fill Beggs’ mirrors. Coming to the white flag, Miller tried to make a move in Turn 6 and locked up his brakes, spinning out of the podium position. Woods moved into second with David Donner to third, but not close enough to make a move as Beggs took his third victory of the season. Michael Zuieback put his No. 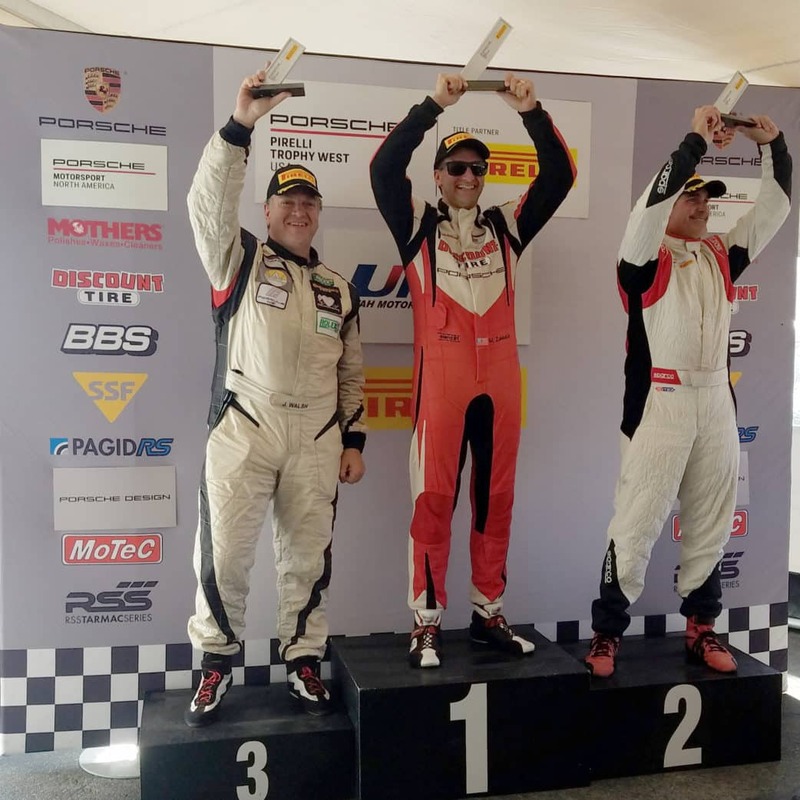 2 Competition Motorsports Porsche onto the Diamond Masters pole and refused to relinquish the position during the race, scoring his seventh victory of the season to secure the class championship. Will Tait finished second and Jim Walsh third. 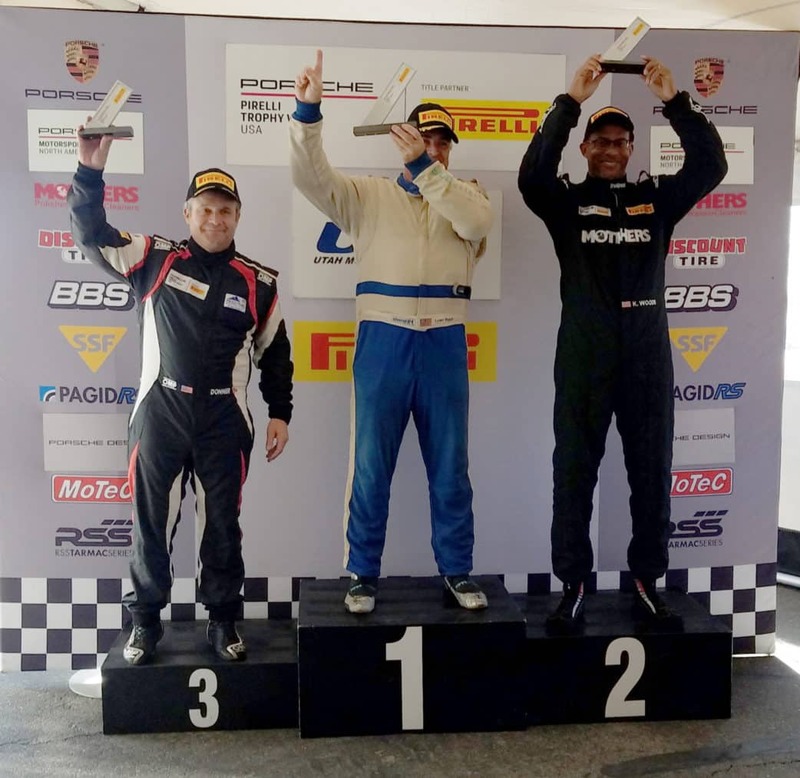 The Platinum Class championship had already been decided, with 21-year-old Sean McAlister securing the title with victories in 11 of 12 races – which may have taken some of the sting out of the youngster’s first DNF of the season, as contact with a Diamond Class competitor in Turn 1 at the start put his Competition Motorsports Porsche out of the race. TruSpeed Autosport’s Alessandro Chiocchetti grabbed the early lead, only to have Black Sheep Racing’s Mark Davidian make the pass on Lap 10 to grab his first series victory. John Kerr came home second with Chiocchetti third. 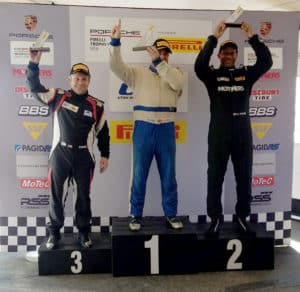 Ray Shahi brought home the Gold Class victory for TruSpeed Autosport. Three cars contested the GT4 race-within-a-race, battling together for position with Race Technik’s Paul Nemschoff taking the overall and Bronze Class win, and NOLA Sport’s Mike Vess earning the Silver Class victory.